After John F. Kennedy was assassinated during his motorcade procession through Dallas, Texas, on November 22, 1963, the United States government was quick to memorialize the fallen young president on a coin. In fact, the first call from the U.S. Treasury to Kennedy half dollar obverse designer Gilroy Roberts was made just hours after Kennedy was killed. 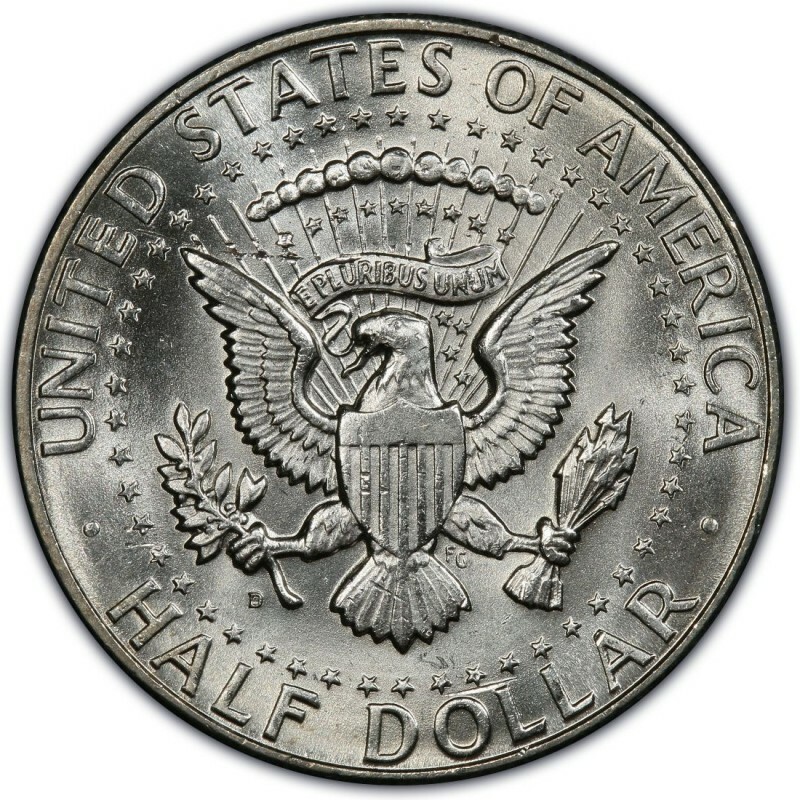 The ceremonial first strike of the Kennedy half dollar, which replaced the Franklin half dollar, occurred on February 11, 1964 – just weeks after Kennedy’s death. The coin immediately proved to be widely popular; a fact that was largely compounded by coin’s silver composition. Hoarding of 1964 Kennedy halves was immense. For that reason, the coin failed to circulate well. In fact, many numismatists believe that the early hoarding of Kennedy half dollars is one main reason the denomination doesn’t circulate today. 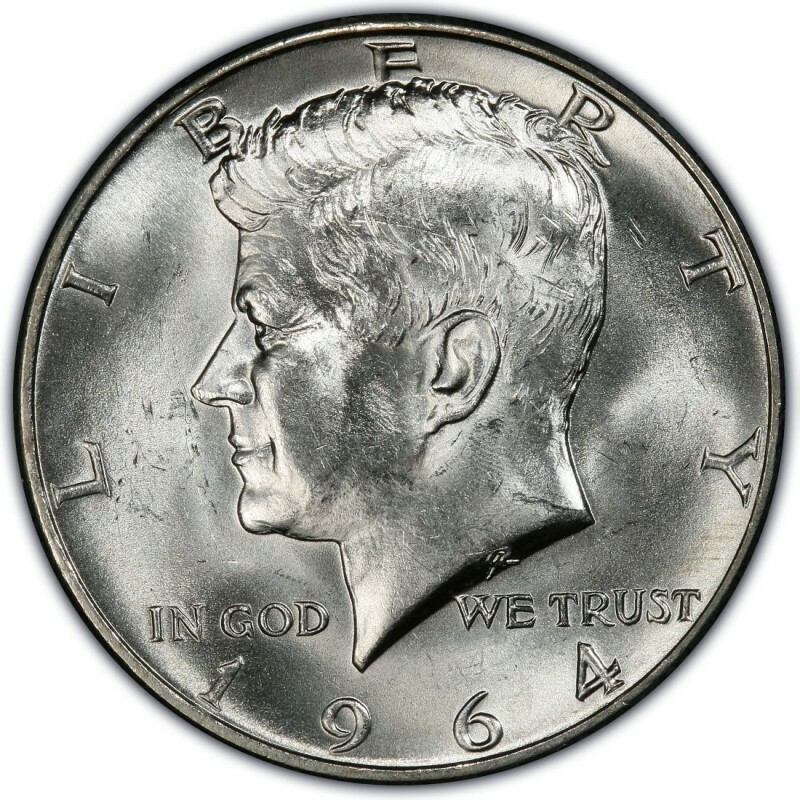 1964 was the only year that circulating Kennedy half dollars were struck in a 90 percent silver composition. It was also that year that four different types of Kennedy half dollars were made: the 1964 Philadelphia, 1964-D (Denver), 1964 proof, and 1964 heavily accented hair proof. Responding to extreme demand for the new coin, the U.S. Mint struck hundreds of millions of 1964-dated Kennedy half dollars, with 273,304,004 made at the Philadelphia mint and 156,205,446 at the Denver mint. 3,950,762 proofs were made. Each of these coins is worth about $8 when silver prices are $20 per ounce. 1964-Proof Kennedy Accented Hair! NGC PF67!-QA Approved!! NGC Price $360.00! 1964 Proof Kennedy Half Dollar NGC PF67 w/ Free Shipping! 1964 Kennedy Half Dollar PCGS Gem Brillant Uncirculated - Free Shipping!! 1964 Proof Kennedy Half Dollar NGC PF68 Cameo w/ Free Shipping! 1964 Proof Kennedy Half Dollar NGC PF68 w/ Free Shipping! 1964 Kennedy Half Dollar 50C Sample Slab NGC also labeled "NGR"
1964 Proof Kennedy Silver Half Dollar certified PF 66 Cameo by NGC! 1964 Proof Kennedy Silver Half Dollar certified PF 67 by NGC!